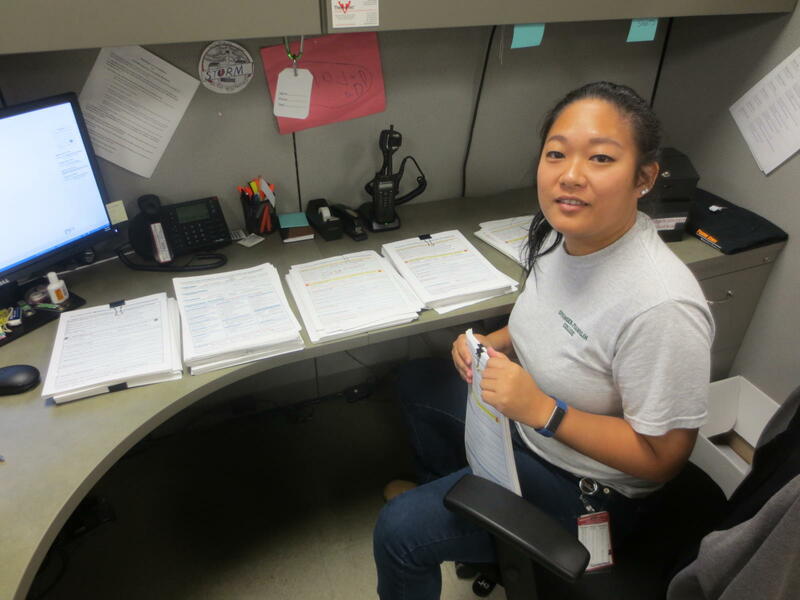 Plant safety intern Linda Lee has spent her summer at Prairie State working on a project to ensure safe operations of the plant’s chemical usage. Lee is pleased to see her project used in a recent training session with employees. She has also been involved in designing a cooling shack; this will allow employees to take a break from the heat of the plant. Lee appreciates that plant safety is a busy job. She has been hard at work to ensure that safety is constantly a priority for everyone. Lee has learned a great deal about workplace safety groups. She has been involved in the Voluntary Protection Program (VPP) and Certified Occupational Safety Specialist (COSS) training. The VPP and the COSS training have improved her knowledge and hands-on safety skills. Her biggest accomplishment at Prairie State has been completing the chemical use safety spreadsheet. It involved a lot of effort, and she is happy that it will continue to improve employee safety in future training sessions. Following graduation, Lee would like to work at Prairie State. She appreciates plant safety being a challenging career because it allows for more learning.